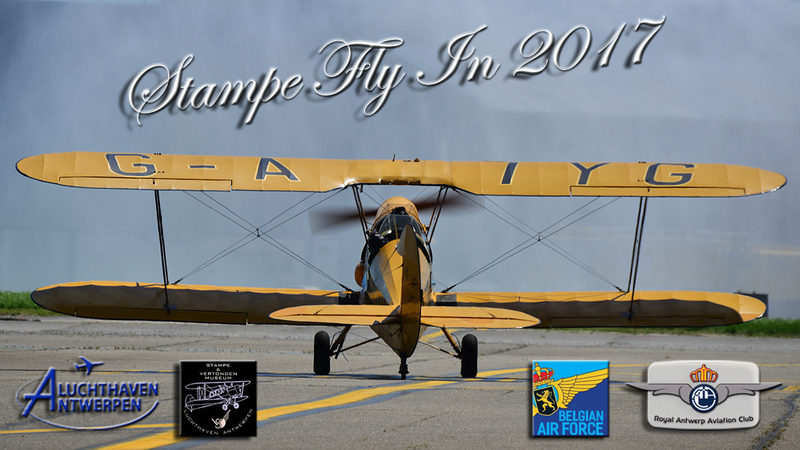 For the 26th time, the Stampe Fly In took place at the Antwerp-Deurne airport, on May 27th and 28th 2017. 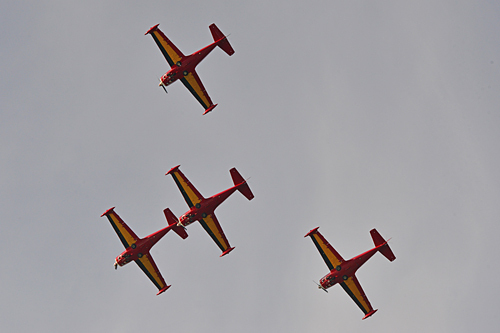 Once again, the truly passionate, as well as the public were present to celebrate the "Great Mass", dedicated to the most popular and famous Belgian airplane. 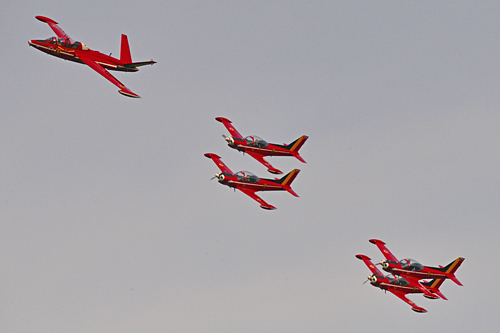 And as it has become a habit, numerous SV-4 met at their birthplace. 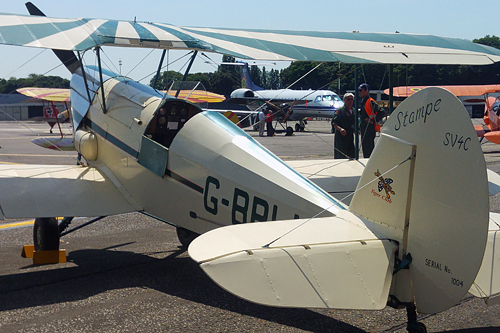 Not only coming from Belgium, but also from France, Germany or the United Kingdom, a great number of private owners did the pilgrimage with their magnificently restored treasures, superbly maintained, and in perfect flying conditions. But it wasn't only a party for the SV-4. 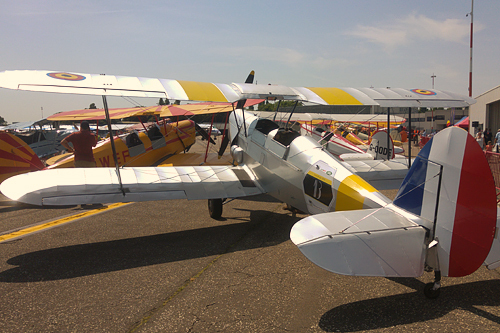 There were numerous War birds and collectors' planes, such as TF-51D, T-28B, T-6, multiple Piper Cubs, reproductions from WW1 planes, among which a Fokker D VIII, in our aeronautical military colors from back in the day. 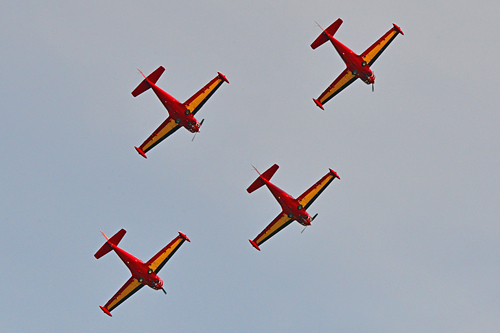 Without forgetting an icon for SBAP, the Fouga Magister, perfectly restored, and kept in flying conditions, in the colors of our national aerobatic team, the "Red Devils". A pleasure to see the MT-5 flying next to the 2017 "Red Devil"s, who are celebrating their 60th anniversary this year, and remembering their birth on the Hawker Hunter in 1957. Because it wasn't just a celebration of ancient airplanes, or museum pieces, our Air Force was well represented as well, with on the Static part an Embraer ERJ-135, and for the demonstrations, the A109BA solo display, spectacular and professional as always, and not forgetting our "Red Devils" with their flamboyant red Siai-Marchetti SF.260M, of course. 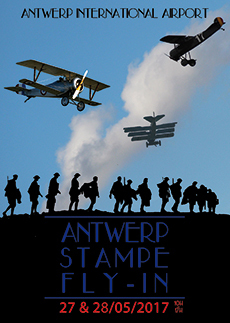 Saturday, the 27th, was reserved for the arrival of the airplanes for next day's show, rehearsals, and a large number of aerial movements, as we mustn't forget that Antwerp airport is a commercial platform, which doesn't cancel its other flights during the Fly-In, an additional pleasure for all to admire and photograph commercial and tuxedo business flights on the tarmac of Deurne from very close. On Sunday, it was "show time". 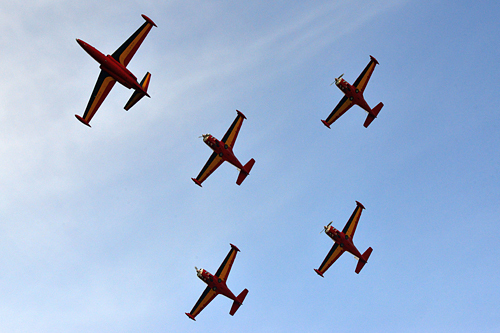 The real Fly-In with a program that a lot of airshows would be more than happy to present. Once again, we must underline the professionalism of the organizational team. And with regards to that organization, it's always a pleasure to see that with some good will, passion and a good team, it's still possible to present a quality show for all ages, educational, technical, respecting the environment, our heritage, and this in all security levels. 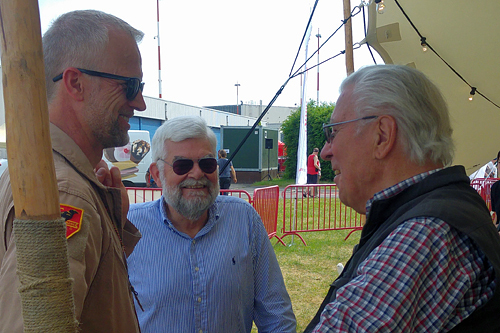 This is likely to be the reason why the Stampe Fly-In celebrates its 26th edition, and since the beginning has become a must in Belgium. The SBAP team present during those two days, would like to thank the organization for the Fly In, and wish them a lot of success for the years to come. Without forgetting to wish long life to the SV-4, the canvas and wood jewel, of Belgian origin…"Cocorico", as our French neighbours say! (Pierre Taquet ©) Boeing N2S-3 Stearman "Old Crow"
(Bruno Ghils ©) So elegant! The MT13 in the museum...like a real pilot! 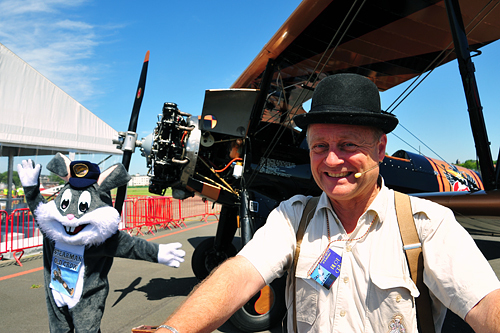 (Pierre Taquet ©) Harry Seys always happy when there are some planes!